The USS NASSAU (LHA-4), a Tarawa class amphibious assault ship, was commissioned on 28 JUL 1979. USS NASSAU, named for the Battle of Nassau the Bahamas in 1976 between American rebels and British forces, was built by Ingalls Shipbuilding in Pascagoula, Mississippi. After commissioning NASSAU is homeported in Norfolk, Virginia and has deployed numerous times to the "MED", "IO" and Caribbean. 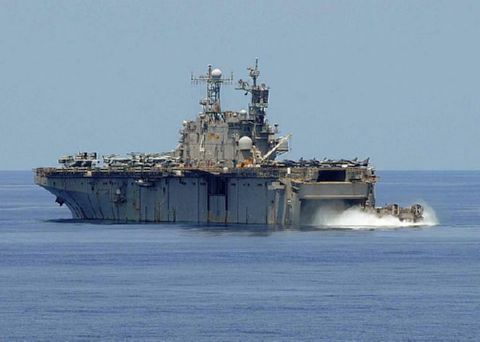 USS NASSAU is known as "The Top Gator" and is ready for missions as diverse as Desert Storm and humanitarian relief in Haiti after the tragic earthquake.